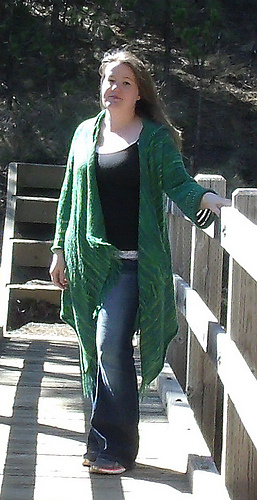 This cardigan is a fun easy project. 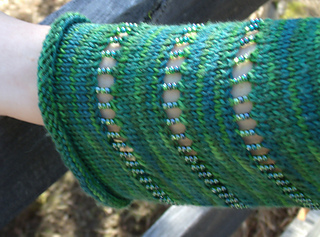 Worked from the top down and entirely in the round, there are no purl stitches anywhere on the body. 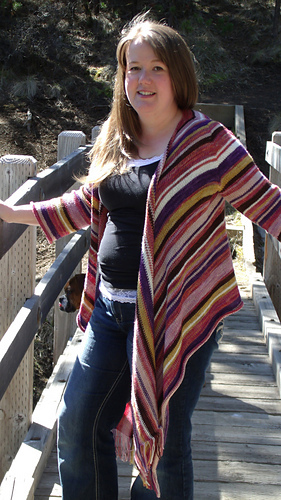 After the knitting is done stitches are dropped then cut to form the fringe on the front of the cardigan. You can choose long or short front and long or short body, and adjust your sleeve length. This is a great scrap project. 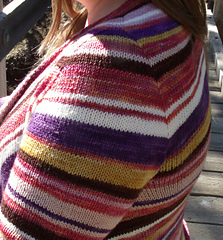 If you have enough yarn to work 1 round you can make a stripe. There are no ends to weave in on the body. Caution: you will have to weave in ends on the sleeves, so if you make your sleeves to match your body be careful how many ends you will have to weave in. 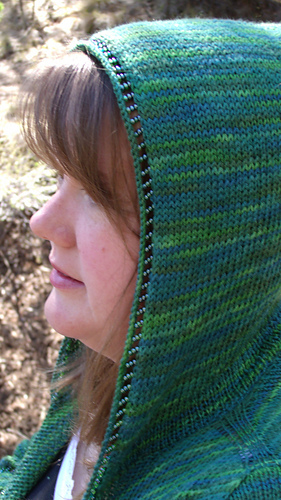 Optional instructions are provided for the hood and the beaded insert.